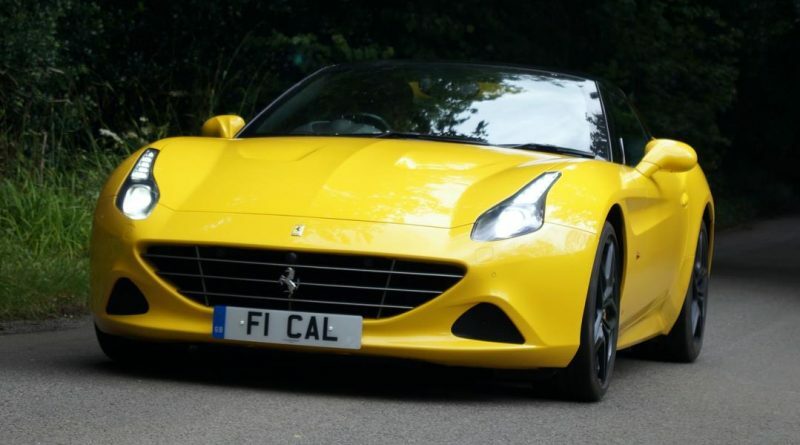 Is the California Ferrari enough to be called a Ferrari? What makes a Ferrari a Ferrari, I wondered as I mulled over the California T. When the car was launched back in 2008, expectations and reality didn’t necessarily meet; the V8-powered, front-engined GT, with its electric folding hardtop roof, raised a few doubts as to whether it was the real thing. The ‘T’ was added in 2014, introducing a twin-turbo engine in a Ferrari for the first time since the legendary F40, and now there’s the Handling Speciale package. The visual clues are few and far between; there’s a dark grey grille, rear diffuser and exhaust tips, while the interior gets a plaque to remind the driver this is the HS version. Everything else is under the skin. The suspension has been stiffened, the magnetic dampers work more quickly, the exhaust is louder and more soulful, and a manettino switch has been added to the steering wheel to unlock the full benefits of the changes. Comfort mode might be a slight misnomer, but the California is just about soft enough to live with every day. Leave the gearbox alone to work itself out and turn down the exhaust and it’s quite civilised, with an infotainment system that thumps out tunes nicely. Flick the manettino to Sport and the car wakes up. The V8 engine gives out a bass rumble as the exhaust allows it to breathe a little easier. The suspension stiffens, a little too much for UK roads, but there’s another button to press that sorts it out. Cunningly named ‘Bumpy Road’, this gives taut body control and secure handling, but takes the edge off the wort our roads can throw at the Ferrari. And throw the roads at the California, you will. There’s direct and accurate (if a little heavy) steering and a chassis that generates more than enough grip, making it a fun car to drive. Brake, turn, hit the throttle, and the twin-turbo setup needs no time to gather itself, instead just providing 552bhp to the rear wheels on demand. Smooth in Comfort mode, the gear changes bang aggressively through the box when pressing on, reminding you that the car means business. It loses nothing of its agility with the roof down, but it does provide a new level of aural appeal as that exhaust makes itself heard inside as well as out. Top down cruising, trousers-on-fire performance driving, or grand tourer style mile-munching is all easy for this most accessible of sportscars, assuming you’ve got £160,000 spare. The California may have missed the mark in 2008, but continuous development has turned into what it should always have been – a proper Ferrari.